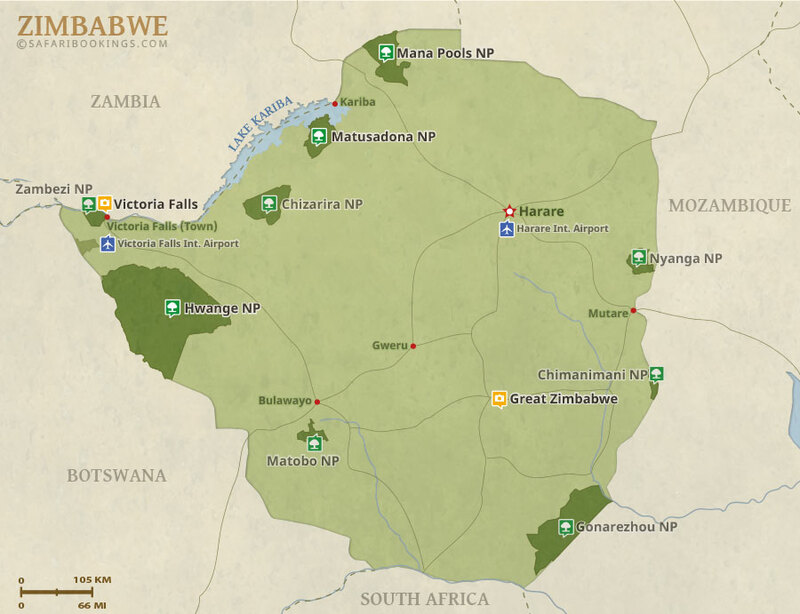 Zimbabwe Travel Guide – Parks, Best Time, Reviews & More! Because of the political situation in Zimbabwe, tourists are few and prices are competitive, but the main parks are still cared for and well worth visiting. 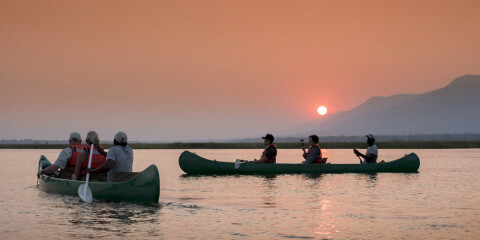 Hwange is not to be missed, and Mana Pools offers great canoeing safaris on the Zambezi. 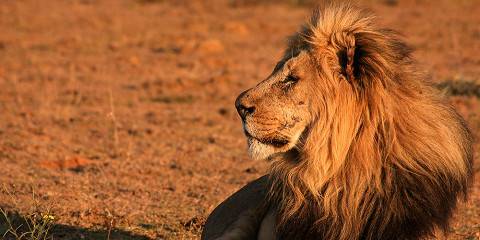 Hwange and Mana Pools are Zimbabwe’s prime sites for wildlife watching. 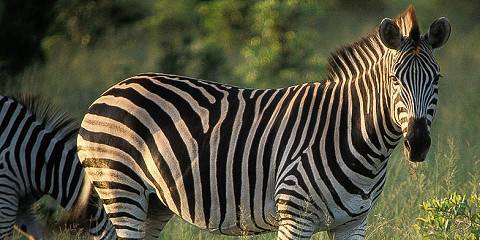 The most commonly spotted animals are the elephant and hippo, while the giraffe, zebra, lion and hyena are also present in good numbers. When it comes to the leopard or other cats, however, sightings can prove rare. The beautiful sable antelope and the bat-eared fox are two lesser-known highlights of the local animal population. Zimbabwe’s temperate climate is characterized by a moisture-less Dry season (April to October) and a sodden Wet season (November to March). The drier months are cool to warm, although the temperature shoots up in advance of the rains. In the wetter months, the temperature climbs to an afternoon average of around 30°C/86°F, but high levels of humidity give the heat more bite. 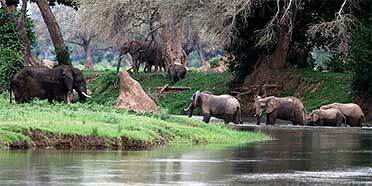 Wildlife can be viewed in Zimbabwe year-round. But the generally beautiful weather and high visibility of animals in the Dry season (April to October) make this the best time of year to hitch a ride on a game drive. Note, though, that views of Victoria Falls are often obscured by a veil of spray from March to April because of the amount of water tumbling down its face. You’ll have a much clearer view of these famous falls if you visit from May to September, when the Zambezi River calms down.